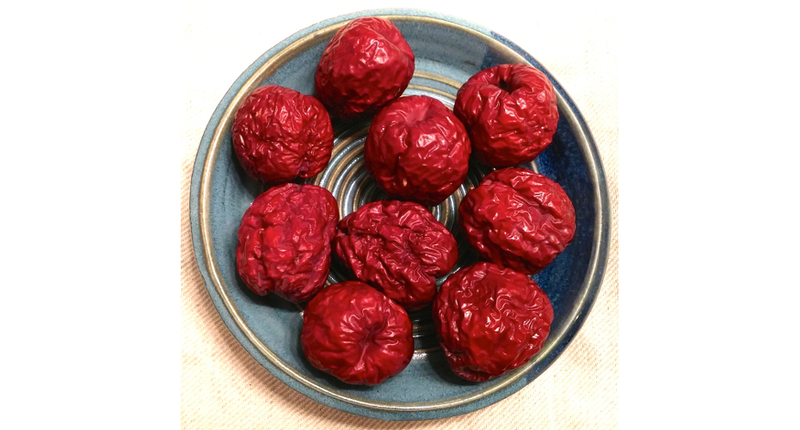 To be honest, I’d never seen or tasted daechucho (candied dates) before I cooked them for my Korean Food Project. But I’d heard of daechucho — it is a legitimate Korean dish — and when I found this recipe, I was intrigued by its simplicity and health factor. After making daechucho, I can report that it’s quite tasty. And, like yullan, it seems like an ideal dessert/dish for the holidays. Wipe dates with damp kitchen or paper towel, then use a small knife to remove pits. 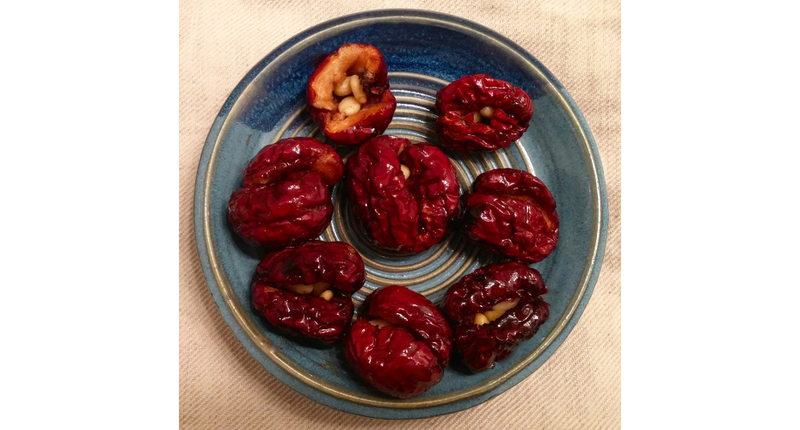 If dates are too dry, place in bowl, sprinkle with rice wine and leave for 3 hours to swell. Place 2 to 3 pine nuts inside each date, making sure some protrude through opening. Drizzle a little honey over filled dates. Carefully transfer dates to saucepan. Add remaining honey and cook over low heat, stirring to mix dates and honey. Separate dates and arrange on serving dish, pine nut-side up.